Opening the second day of GDC 2016’s Game Narrative Summit, six members of Crystal Dynamics’ narrative team discussed the development of Rise Of The Tomb Raider. Rhianna Pratchett, daughter of beloved fantasy author Terry Pratchett, revealed how drawing on her relationship with her own father allowed her to “come to peace” with the dad-heavy storyline. Some of the titles in our list of PC’s best games have good stories, too. 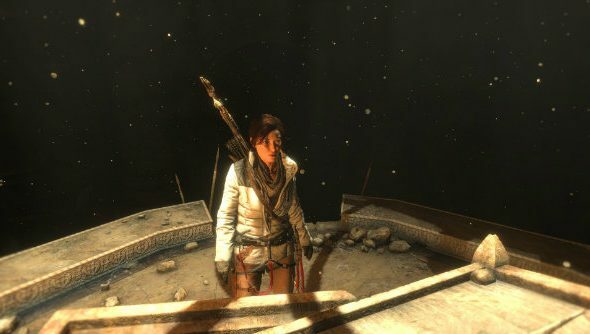 Rise features Lara Croft a year after the events of Tomb Raider, using her late father’s research on a quest for the lost city of Kitezh. The storyline uses that quest to explore Lara’s feelings over losing her father to suicide at a young age. The team obviously viewed that as one of the most important aspects of the game. Crystal Dynamics use an internal “metascripting” system with hashtags to show at a macro-level the different story threads. John Stafford, Lead Narrative Designer explained that this was important to reveal the “tension and emotional pacing” across the game. In order to warm to it, she revealed that she “pulled on real-world influences” in her relationship with her own father, Terry Pratchett.